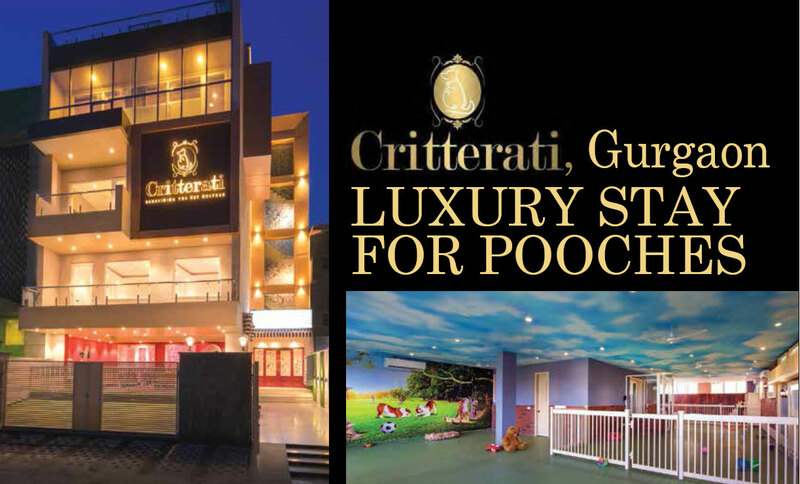 Critterati hotel for dogs in Gurgaon offers luxury pet suites with velvet bed, TV and flap landing to the private balcony. In the hotel, pooch guests can enjoy swimming pool, spa and eat in the special dog cafe. Critterati’s dog cafe – a delight to pooch tummy! Spa at the hotel offers ayurvedic oil massage. Pooch guests can take a dip in the hotel’s rooftop pool. Critterati has grooming facility where furry guests can take bath, get hair-cut, etc. Medical unit in the hotel has operation theatre and vet on call available 24 hours. Critterati redefines the ‘pet culture’!